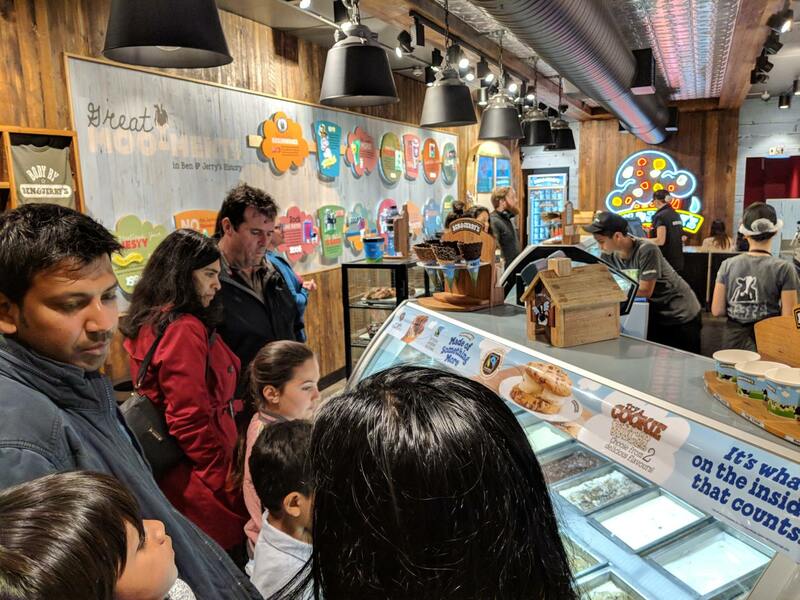 This is a guest post from reader and friend of the blog, Shan L, He has also written about his new network experiences for the South, West and East when those networks rolled out. On Sunday 8 July the new network for went live for central Auckland. Joined by special guests Steve and Matt I took my usual ride around to see how well it worked. Living in the area and being big users of the local PT network, this one is a big deal for us. We decided to concentrate on the city and outer areas of the network – the group consensus was the lack of our beloved Crosstown 5 and Crosstown 6 routes from the original consultation would cause us too much grief, so the area would be best avoided instead of riding around in sadness/rage. Perhaps a test of the central, central network might be a good topic for a future post. First step was to locate a map. Conveniently, this had turned up in the post a few weeks ago so I didn’t have to go on my usual quest to find one. 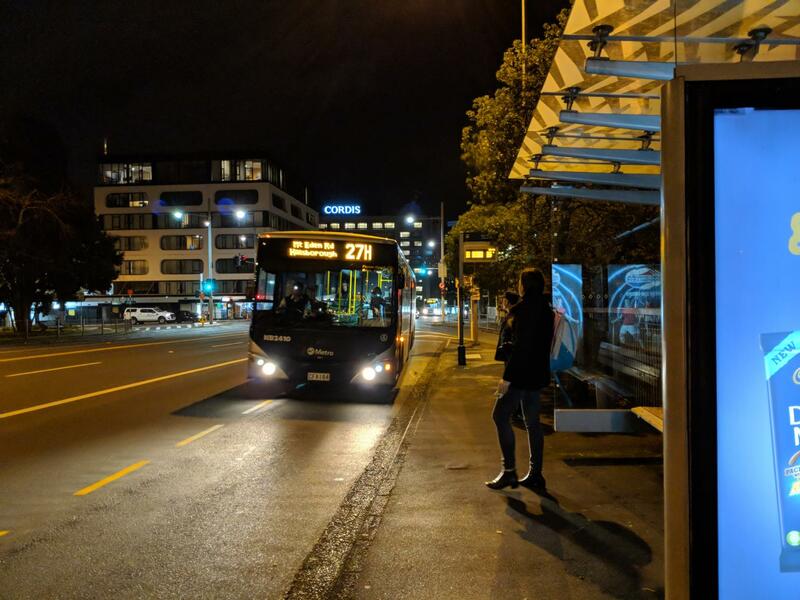 Wandering out to the nearest city-bound bus stop, past the signs being mysteriously installed in the middle of the footpath, I was immediately greeted by a ghost bus – a 267 which should’ve been a 25L. This was the first of about 4-5 other mislabelled buses we saw throughout the day – something I’ve not noticed with previous launches. That aside, the minimum 15 minute frequency of both 25 and 27 buses that pass through this stop is a huge improvement – although there is a bus every few minutes at peak times, on a Sunday I’d not usually attempt to make a breakfast run by bus due to long waits and the terrible risk of hangriness. This is made even riskier due to the need to make a connection at Symonds St to get down to Newmarket. But now both bus routes are frequent at all times this is less of a worry. There is a actually more direct route from here to Newmarket – it’s only two stops on the train and the station is a 5 minute walk away. But because of the more-often-than-you’d-like 30 minute frequency I hardly ever do this, much preferring to take two buses instead, as it’s usually faster (or at least not hugely longer) – and carries less risk of frustration if you happen to turn up at the wrong time. As an aside, this is also the reason why I find the Purple Line in the post CRL rail network to be such a strange inclusion: this is surely a perfect use case for it but given its low frequency I wouldn’t bother, as I’m not bothering now. The easiest way down to Newmarket from a Symonds St service is to transfer onto an eastbound bus at Symonds St near the inexplicable building with the Greek columns. Sadly, there is no convenient and safe way to cross the torrent of death here, so I took my chances along with everyone else. Luckily, being Sunday, there was reduced death, but it was faster moving. It’s common to see people making this transfer at peak times – quite often old people who have trouble walking quickly – AT should make fixing streets like this for all users a priority, especially when their new PT network depends so heavily on transfers. I had a slightly longer than necessary wait of 9 minutes – I could’ve got a 75 about 5 minutes sooner but I stuffed up reading the map and got a later bus by accident. The bus shelter here is fairly minimal and to see a bus coming you generally need to stand outside in the rain. There’s plenty of space so it should be a candidate for much improved shelters in future. Breakfast having been had, the next task was to get to Ranfurly Rd where I’d rendezvous with Matt (he’s a bit French) and quickly drop in on a relative. There are two main options to do this: the 30 or the Outer Link, both which go down Broadway; then Manukau Road. The bus stops at this location on Broadway are reasonable – just some signs under the awnings, but they work quite well. After only a minute waiting an Outer Link turned up, so I got on, at which point the driver turned off the engine and we sat there for 6 minutes, while a 30 went by. Visits complete, Matt turned up and we made plans to head down to Britomart to collect Steve, before making our way to the inner west. A 30 appeared without much waiting and we got on. I made a foolish decision to get off at Symonds and transfer to a Britomart bus to avoid a walk down Queen St at the end of the 30’s route – but of course I should’ve waited until we got a bit further and there were more Britomart bound buses to catch. However, it did give us a chance to take a look at one of the bigger Symonds St stops: like many others in centres it’s sheltered by the shop awnings but is otherwise very basic. Britomart was surprisingly empty of information about the new network – the only thing that stood out was a poster. The rest of the group were after maps and timetables, but there was no one in high vis to help like there often is, so we asked at the ticket office – they’d run out. 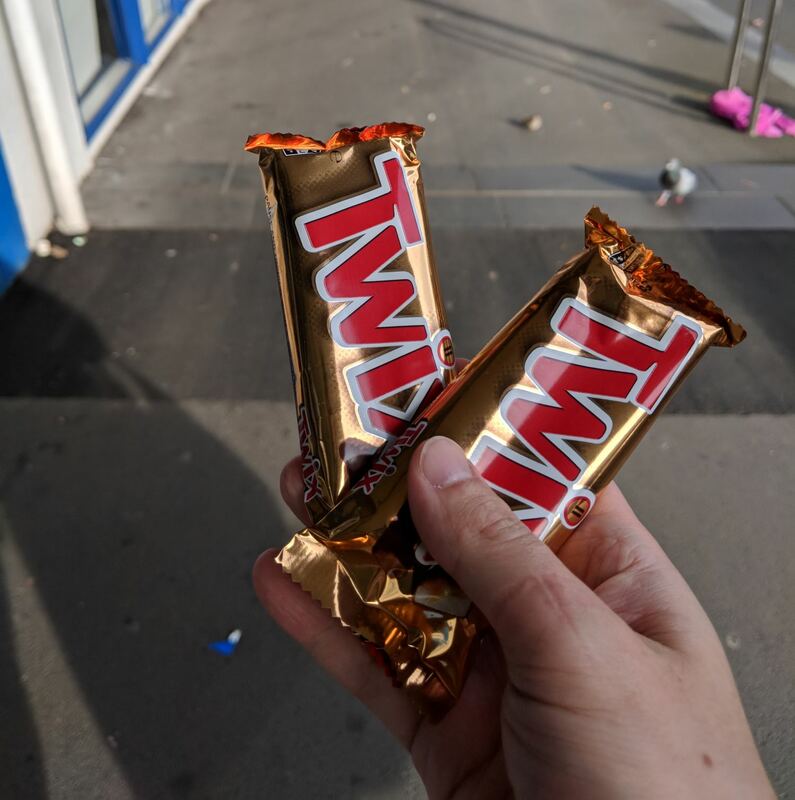 Snacks achieved and Steve collected, we got on the Western Line to head to Pt Chev. In an inadvertent simulation of the new network’s ability to cope with sudden change of plans, we got in an argument over the merits of metro style vs. front facing seating and missed our stop at Mt Albert, where we were intending on taking a 66 bus up to Pt Chev. So it was off at Avondale and on an 18 back to Pt Chev instead. 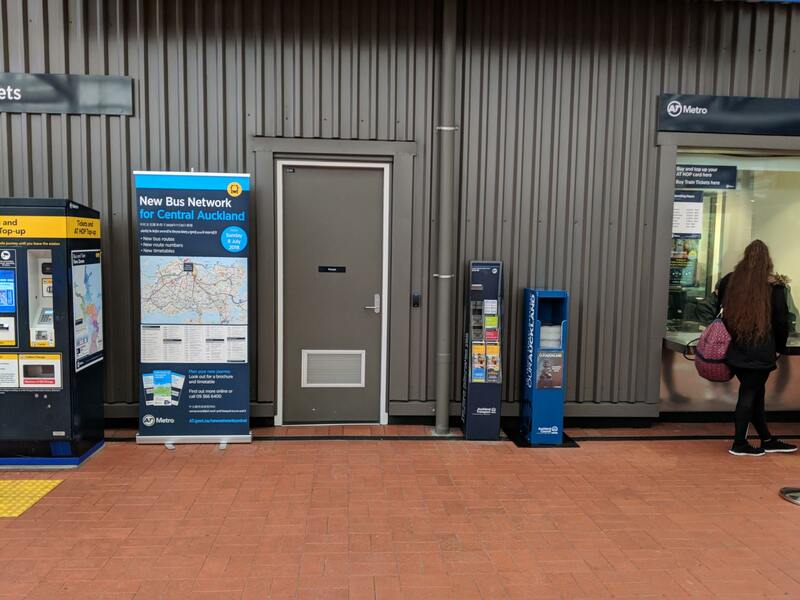 Avondale Station had wayfinding – but bizarrely with an emphasis on car parking and no information on connecting bus services. We wandered down into the town centre, assuming the bus stop would be easy to locate. We easily located the bus stop. But after a few minutes of complaining about how someone had forgotten to put new network signage up at the stop, we realised that this was not the 18 bus stop – or in fact a bus stop at all. The actual bus stop is about 30 metres down the road: well patronised, but with some very old route numbers still stuck to the side of it. 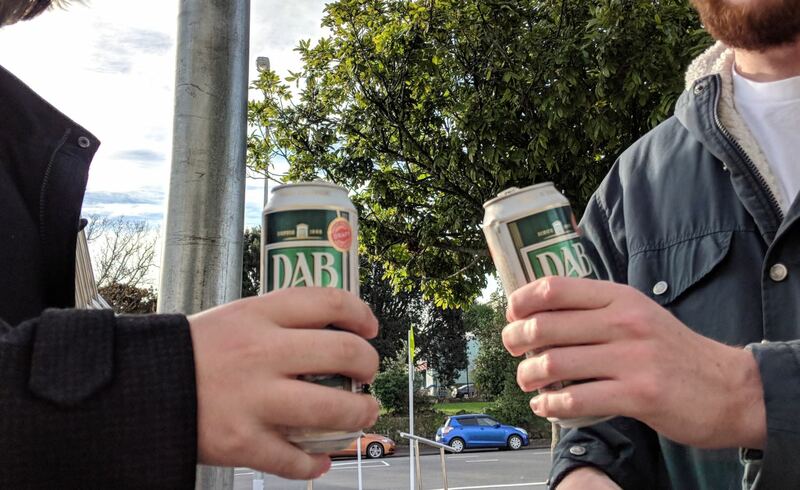 Our goal was to get to the New Lynn interchange so we could head over to Onehunga for some essential shopping, so we jumped back on an 18 in the direction we’d just come from. Arriving at New Lynn, transferring to a 68 crosstown was straightforward and comfortable. The 68 itself uneventful except for when it veered off the route marked on my map and onto the motorway instead – although it got to Onehunga all the same. The trip was fairly long and windy, so I get the impression the service will be more useful for short trips than journeys across the half the isthmus like we were doing. 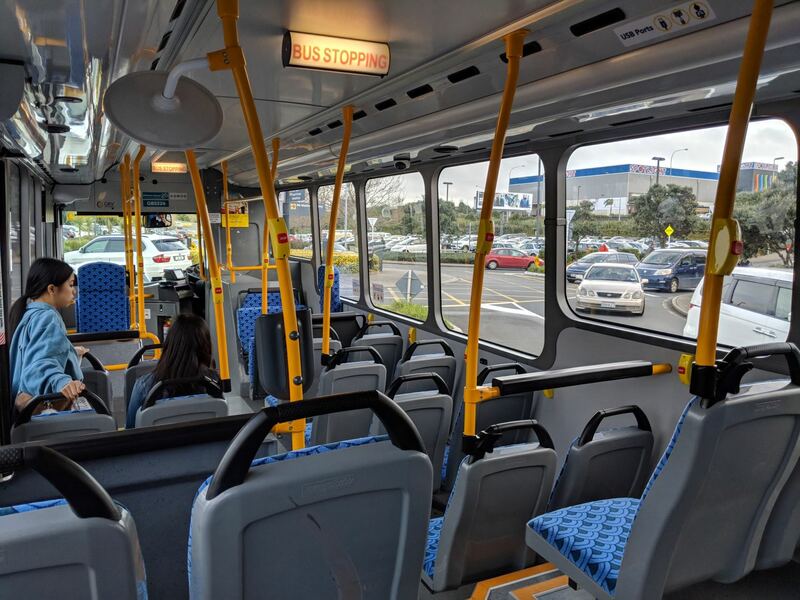 At Onehunga there was a brief schism in the group over whether shopping was a necessity (obviously it was) or whether we should rush to get the 743 connector to GI. Necessity bore out, and thanks to some quick extra shopping the resultant 21 minute wait for the next bus passed with mutiny averted. The 743 was by far the most drawn out leg of the trip – but it’s hard to see how it could be done much faster. Things were exacerbated a bit by the detour through the Sylvia Park carpark, which was heavily congested. Notably, the 743 was the first new bus we’d encountered on the trip so far (excluding the 18, which doesn’t count since it went live previously). Although the isthmus routes all have improved frequency you’ll still find plenty of older buses in service, ranging from comfortable but dated to probably-leaks-in-the-rain. This is a bit of a disappointment compared to the other new network launches, but on the plus side maybe it’ll mean they might go electric sooner. The stop where you wait is well signposted (the letters, which seem to be popping up everywhere, are particularly useful). But the environment is pretty spartan and the “Buses replace trains” sign is about as misleading as you can get – buses did not replace trains. This is a new service that provides direct access to the museum. The route’s a bit windy (and has a u-turn in the middle of it!) but it got us where we wanted without any trouble. After a gentle evening walk dodging vehicles in the Domain we took a new frequent 75 bus down to Wynyard Quarter. This passes east to west through the CBD, going over the Wellesley Street hill, right down to North Wharf, where our dinner was conveniently located. Hometime! I needed to get back to Mt Eden, and unfortunately there aren’t many options here. The motorway severs Ponsonby and Mt Eden, with only the new 20 bus providing access to the northern part of the suburb over the Bond St bridge. But that heads off down to Morningside, and doesn’t provide any connection to Dominion and Mt Eden Roads. Neither is there any connection over Newton Rd. So the only choice is what I’ve always done – and why I hardly go to Ponsonby – take the generally very unreliable Inner Link to Symonds St and transfer to a 25/27 bus. Tonight though I was in luck, and an Inner Link turned up immediately and only took 6 minutes to get to Symonds St. Here, there are plenty of buses heading the right way in the new network, even at 8pm on a Sunday. The service is good, but the transfer experience is awful: a terrible windswept motorway overbridge and a dangerous motorway onramp to cross to get there. Unless we’re planning on putting shops and houses on the bridge the stops should be moved off it and back into civilisation as soon as possible. 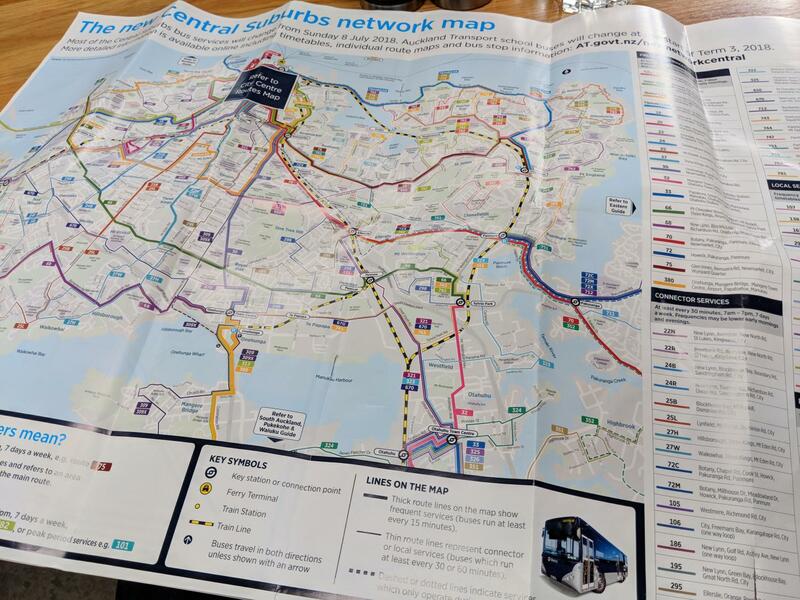 The central new network is a huge improvement over what we had – in terms of frequency, span of services and the fact that you can now read the map without getting a headache. The 7 day 15 minutes till midnight minimum for most of the major routes will make a huge difference for me: no more getting stuck in the cold waiting for half an hour for a bus to turn up, and no more looking quite as apologetic when I force some poor friend out of their car and make them do it with me. But at the same time it feels less like a new network than the other ones – many of the routes are identical or very similar, and it doesn’t really open up much in the way of new travel for me, at least in the vicinity of my home. One of the things I want to do the most is easily move laterally between Ponsonby, Sandringham Rd, Dominion Rd, Mt Eden Rd and Manukau Rd. While we now have good 66 and 68 crosstowns for analogous movements further south, bizarrely, the more central you get, the worse the crosstown service becomes. In my view we need at least two more frequent crosstowns to resolve this: an upgraded 650 (supplanting the messy Outer Link) and to morph the new 20 into the old Crosstown 5. Something connecting Ponsonby to Grafton via Newton Rd would be nice too! They needed to take the 650 and go around Selwyn Village to make the curly tail. That’s a good PT bus nerd joke I must say! Agree with you on Avondale. The signage from the station isn’t all that useful. When all it would require is an easy guided route down Crayford St W (for the 18 or 22N). Alternative up Crayford St E (for the 195 or 22R). 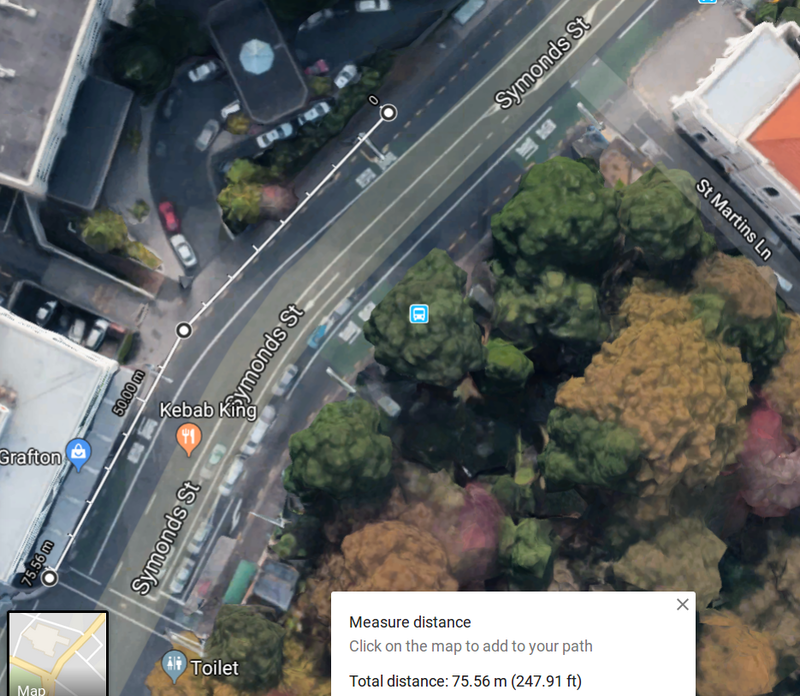 It could also be used to guide people from the station to the Avondale markets, which is used by thousands of Aucklander’s every Sunday (and makes Great North Road a horrible place to travel on for a few hours). The disused bus stop is in a location where taxi’s now dwell, it’s not a suitable for a bus stop as it is surrounded by a sliproad that also serves as a car park. I guess it’s more of a taxi shelter. Definitely not disabled-person friendly. Looking ahead I’d be interested to know how this new network will change after CRL. Anyone know what the plan is? Just FYI the 68 route was changed after the maps were produced, what it did was the correct route. The bit of road down to Onehunga was found to be unsuitable so they’ll run on the motorway instead. 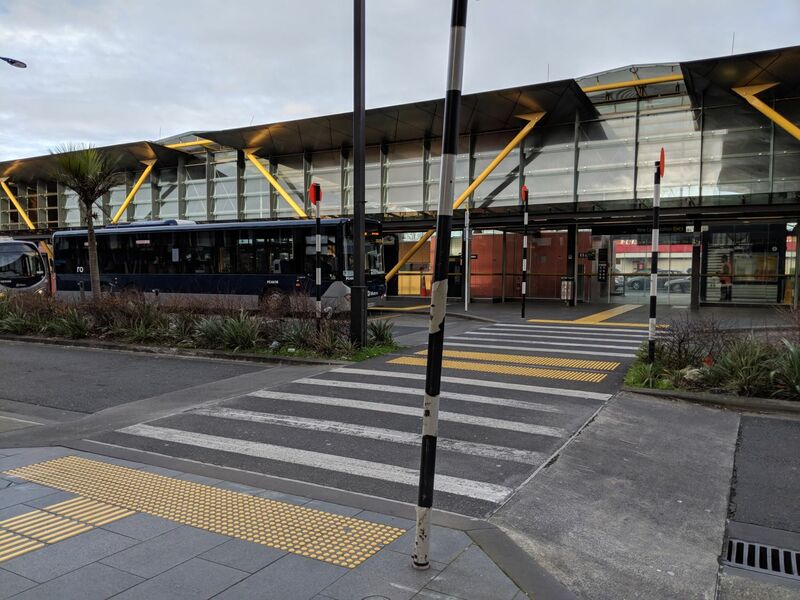 As a longtime resident of Onehunga, the design of the bus interchange there exudes negativity – its an uninviting place to visit and to wait in. Without further investment to properly upgrade the facilities, the interchange will remain alongside Westgate as one of the worst PT customer experiences in Auckland. 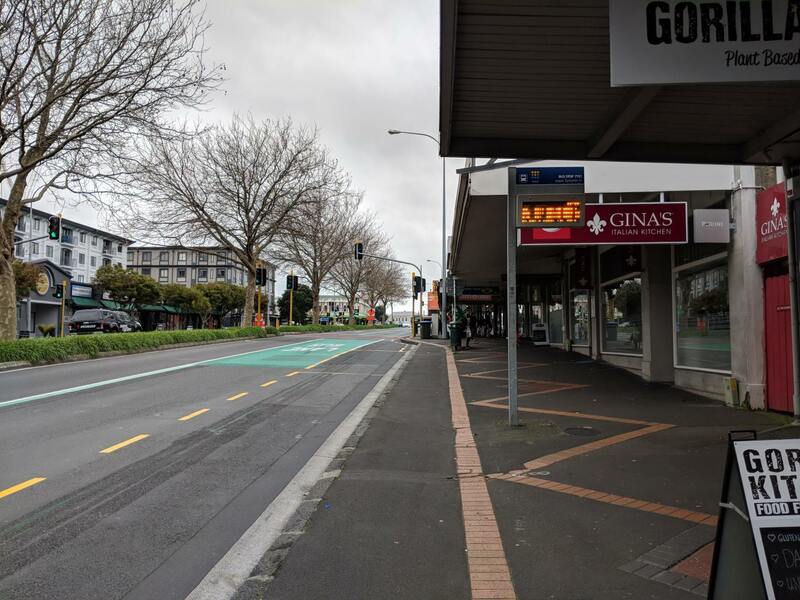 Onehunga is an area which has become a desirable place to live in yet the train and bus service facilities there are remain isolated and sterile. A serious dose of proper Design Thinking is needed. 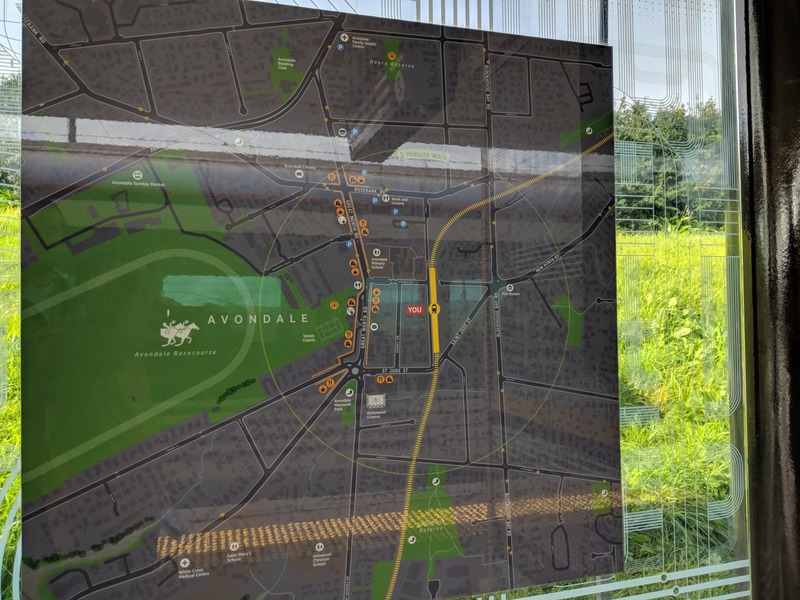 Regarding the lack of network service legibility at Avondale, there needs to be at every station, a large network map for the area – on a plinth or on the station glass panels, showing the nearest (New Network) bus routes and bus stops. Simply showing an area map with only local facilities marked, is insufficient. Regarding the detour of the 68 bus service down the motorway, its due to opposition by some local residents to running buses along Carlton Street in Hillsborough, a move which has deprived hundreds of people living along Carlton Street, Frederick Street, Queenstown Road, Beachcroft Avenue and Church Street of access to a frequent bus services. Oncce again, the needs of the few outweigh the needs of the many. And for that reason, it is why NIMBY’s are awful people. To be fair would you want a bus going down your residential street, breaking for speed bumps and accelerating afterwards, every 15 minutes each direction until midnight? You would expect this living on a main road. not a residential street. To be honest, I’d prefer this to having cars go down my street at all hours of the day. Our street in Mt Wellington now has a completely new bus route running down it with brand new Go Buses which are a lot quieter than I expected; quieter than many cars, the trucks & the police helicopter for that matter which would probably affect residents high up around Hillsborough too. They actually start around 5:45 & run every 20 minutes from then & into/through the peaks. Down Ruawai Rd there are speed bumps, parked cars etc & it’s not really that bad even there. It’s been great observing the anecdotally slight increase of usage of this route since opening day. Cheers Grant. 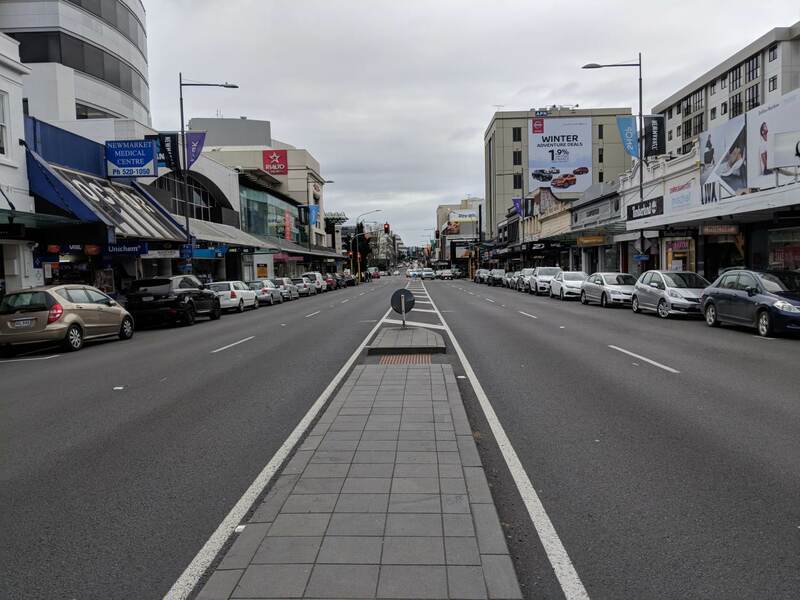 Ruawai Road is very similar in layout to Carlton Street, even down to the speed bump design. Good to know it can work thus. Did Ruawai rd have 50X 505 and 515 what bus are they replaced with the new central bus network? Only just seen this question Adam. 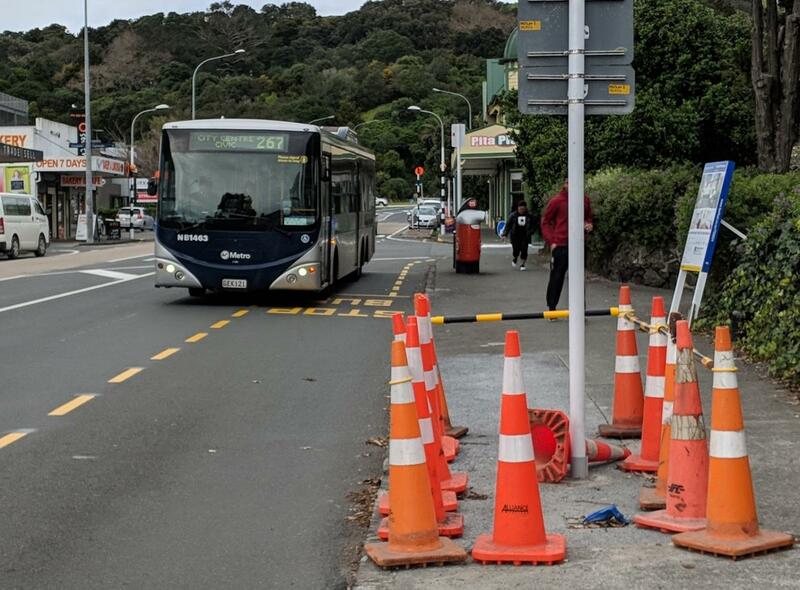 Yes the 298 “replaced” the 50X 505 and 515 bus on Ruawai Rd. It’s obviously a local route or feeder to the trains, getting quite well used but not so much at our Sylvia Park end during off-peak (apart from a couple of One Tree Hill College packed out runs) compared to the Onehunga end it appears anecdotally so far. In a car dependent city, AT will get car-dependent kick-back, unless they launch a successful education campaign. AT need to lead the discussion instead of allowing those who haven’t shifted in mindset to prevent progress. The only thing unsuitable about Carlton St is that some idiot put speed tables on a street that looks like a collector road. Yes. As a long-time resident of a side street off lower Carlton St, those speed humps are ridiculous and none of us were consulted when they went in all those years ago. There is nothing unsuitable at all about running buses on Carlton St. School buses have been using the street with problem for many years even with those oversized humps. 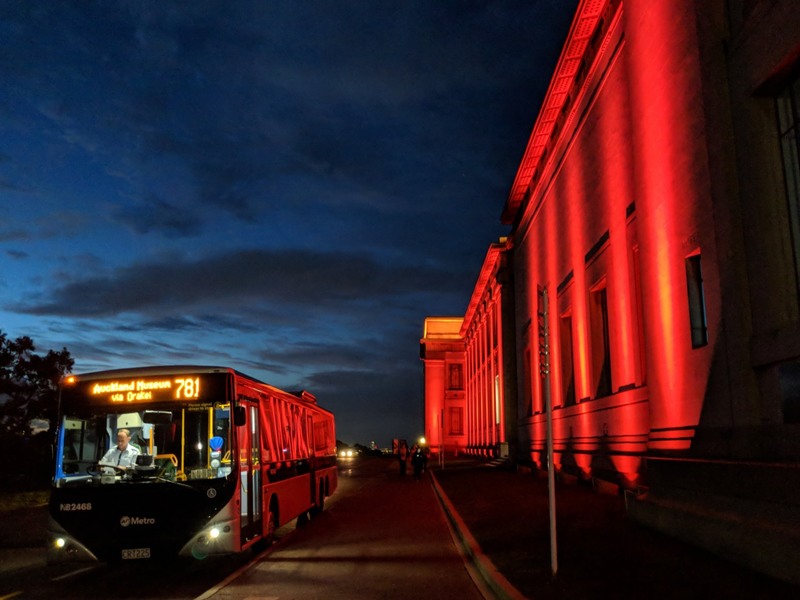 The 68 route was designed to give access to an area of Auckland that has never been able to use public transport until now. Not just Carlton St but Beachcroft Ave and Church St are particularly affected. 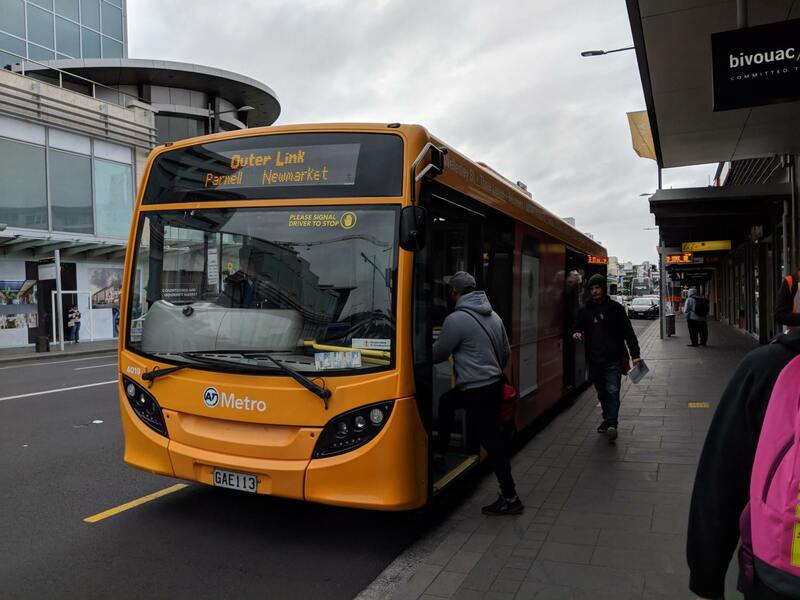 The residents in that area now have no frequent bus service to any location in Auckland and they have been denied access to the one and only crosstown route to West Auckland. Sorry…typo: School buses have been using the street without problem for many years, even with those oversized humps. Thanks for background info on this, was wondering what was up with this route change. Yes it was a weird decision to put a bus down a road with speed bumps. It’s a fairly residential road, not really the best place for a frequent bus running till midnight. Why not run it down herd road (like they used to)? The point is to provide PT to the people in an area without access. Putting it on Herd Rd doesn’t achieve that. Herd Rd is on the other side of the motorway, and already has the 670. Can’t they just walk up to Hillsborough road? Not a weird decision at all to put the route along Carlton. The speed humps on the street will be reduced in size for buses but will not be reduced in effectiveness for car traffic-calming. Herd Road has bugger all people living along it compared to Carlton, Frederick and Queenstown Rd West and connected side streets – a large walk-up catchment there which is why AT designed the 68 route that way. Historically, Carlton, Frederick and Queenstown was the main route between Onehunga and Mt Roskill before the motorway went in. I really don’t like this idea of frequent buses meandering through residential streets to improve catchment. We had lots of those stupid routes with the old network. Stick to the shortest route via main roads. There is normally a main road within walking distance of most people. I generally agree Jimbo, but looking at the map the original 68 route was actually slightly shorter in distance, it wasn’t exactly a meandering route. Sure it might be slightly quicker going along the motorway, but some of that small saving will just come from not having to pick people up, which somewhat defeats the point of a bus. The streets certainly need a redesign to make them feel safer. Wider footpaths, more pedestrian and cyclist amenity, and speed limit 30 km/hr. In the road corridor available, we’re going to have to see some one-way networks to provide this. I don’t think you can expect people to walk 8 or 900 m to their only bus. It’s OK to provide a frequent bus that far away if there’s also a less frequent one available close for the people whose ability doesn’t stretch to the longer distance. Carlton St doesn’t have a less frequent bus either. Maybe that’s where the solution lies until the streets are improved? Its a very long walk up to Hillsborough Rd from mid to lower Carlton Street. There is nothing wrong at all with putting buses down a former arterial route. Its all about walk-up catchment and service patronage and the Carlton-Frederick-Queenstown (West) route makes the most sense from service provision and customer experience perspectives. jezza: I agree the motorway is a bad solution. Especially at rush hour getting onto the motorway from Onehunga is terrible. I personally drive home down Carlton every day because it is quicker than the motorway! Herd road would have to be a better alternative to the motorway. Buses on Carlton would be fine if there were no speed bumps, but with them it is really not the best experience for passengers and it just feels slow. One of the two have to go. I really think these frequent routes have to feel quick if they want to increase uptake. Ideally I would like the entire frequent network to have 24×7 bus lanes. Heidi: Not that many people would have to walk that far, only those right at the end. The prejudices of the few outweighing the needs of the many, not the needs of the few, I’d suggest. Thank you. You are right. I was incorrect in my use of the phrase earlier. This is a great post and well written and researched but I think it highlights a particular problem. Essentially your ‘waiting’ time was almost 2 hours and tourney time 4 hours – thats six hours of your day to go to just a handful of places. I realise this was an experiment, but if I had to go to all those places I’d drive myself. I remember once trying to go to Onehunga from K Road on a sunday via public transport. The round trip took four hours, including spending 40 minutes in Onehunga. I cut short my shopping as I was terrified i was going to miss the train and would have to wait another hour for one. Just a question, why would you take a train for that trip? The Manukau Road buses run directly between K Road and Onehunga in about half an hour, and have always run fairly frequently, while the train is infrequent and nowhere near K Road. Well I guess if you were driving, you might spend a few minutes finding a carpark and then walking from that carpark. Some quiet places won’t be a problem getting something handy but busier ones might take you a while. In one sense I agree, if you were actually going to attempt a trip like this for real, you’d almost certainly want to drive, at least for part of it. It’s not efficient moving long distances without a significant part of it on rapid transit, and apart from the train none of it was. Enjoyed the article, Shan – Have to nitpick one point though. Leg 1B, those people are crossing approx 20m from a controlled pedestrian crossing. 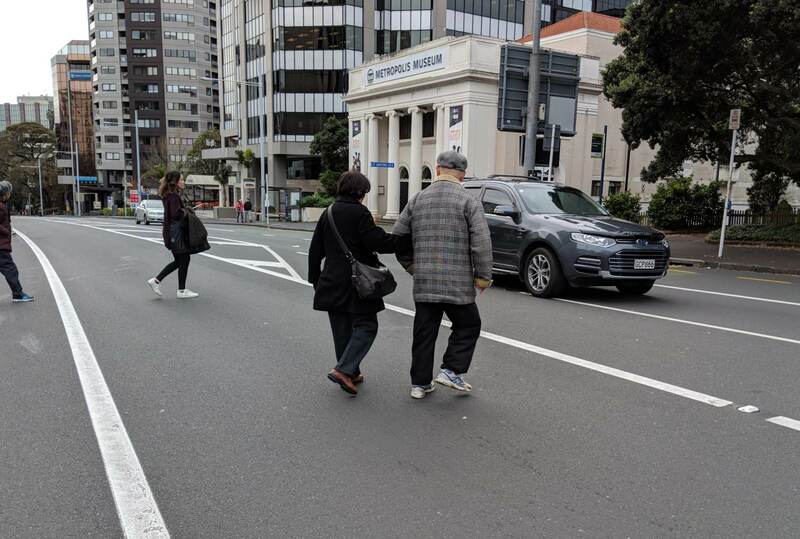 https://www.nzta.govt.nz/resources/roadcode/about-other-road-users/information-for-pedestrians/ – If you are within 20 metres of a pedestrian crossing, footbridge, underpass or traffic signals, you must use it to cross the road. That’s not to say that we shouldn’t look toward improving the pedestrian amenity of our roads. I would like to say that with the sheer volume of public transport on that corridor, there’s not much that _can_ be done to improve pedestrian amenity without re-routing the buses. More pedestrian phasing would be good, but work should also be done to improve pedestrian safety on the slip lane into K’rd. FWIW, when I used to work in that area (next block down) I used to hate having to cross that road regardless of the time of day or traffic conditions. It’s not a nice road. But that’s a dumb law, best ignored. And everyone does ignore it. A 40m detour simply to cross a road in a city centre, a place that should be first and foremost about people? How ridiculous. If a law is dumb, it should be campaigned against. To campaign against the law, you would need to have a coherent reason why it’s dumb. I don’t know why the law is what it is, but if I were to campaign against it, I’d have to know how we got to where we are. There’s too many people who turn into arrogant monsters when they get behind the wheel, ignoring the crossing when it’s so close will antagonise those people. If you wan’t to win support for improved pedestrian amenity, antagonising other users of the space isn’t a winning strategy. “First and foremost about people” – Yup, that’s why we have a lot of buses on that road. And taxis. People movers both of them. This part of town isn’t about people congregating, it’s about people working or (to a limited extent) living or transiting. It’s not city centre either, more fringe than anything else though, to be fair, the motorway ensures that’s how it is. People shouldn’t have to wait inordinate or unfair periods of time to cross a road, however nor should they be excused for being too lazy to walk 30-40m (the stops on the other side of the road are closer to the crossing). Compassion allows exception if running late for an infrequent service, or other “good reason” but compassion for these exceptions should not turn into acceptance of laziness. It’s about the bigger picture. I just eyeballed the distance against the scale bar and referred to my memory of that area. To make up, I’d like to say that I was very happy to see two cyclists running red lights all the way from Newmarket to Ellerslie on Friday. They both did so carefully and sensibly and both were very good at making eye contact. As a driver (that time), I’m much happier for them to run the lights and get up to speed/to a bike lane than risk impatient drivers cutting them off or coming too close. Snort! 🙂 I do think you slipped into a mindset that is pretty damned common, though. The mean walking speed for a woman in her 70s is 127 cm/s or 4.6 km/hr. For the elderly man there, what do you reckon? 90 cm/s or 3.25 km/hr? In that case, the 150 m extra, and the waiting at the lights for half a minute (possibly more) adds on 3.28 minutes. That’s the equivalent of making a driver at 40 km/hr go an extra 2.2 km. Do you think the traffic engineers would routinely make the cars go an extra 2.2 km? Excellent report and very fastidious note keeping, showing that, if anything, AT needs to get its act together about A) bus stops, B) signage at bus stops, and C) thinking through the minutae of the actual bus routes. And I would certainly agree that the stops near the corner of Symonds and Grafton Bridge are diabolically badly laid out. Not sure what the people were doing to need to cross the road there, but AT: do something about it! Treat bus passengers like real people! Because – well – they are! But what I’m most concerned about, are those “cube croissants” for sale. 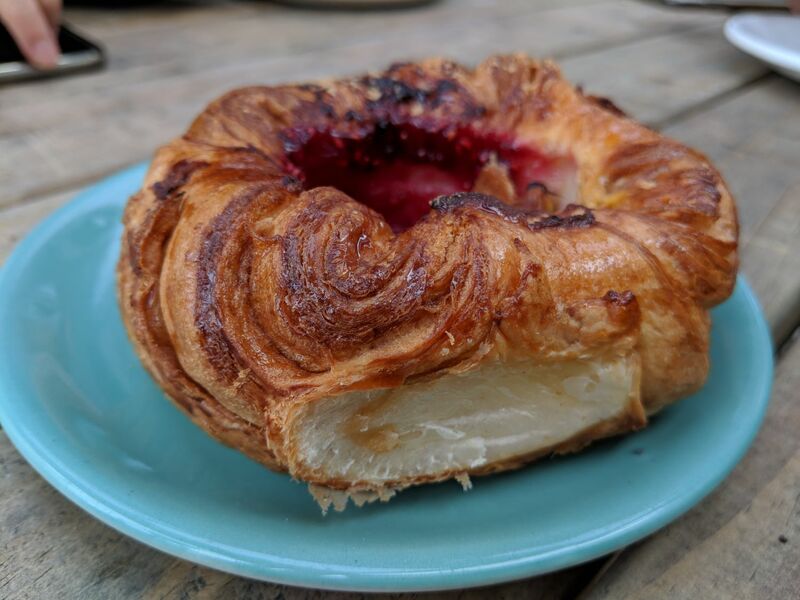 Croissant are meant to be light and fluffy and delicate, and are oosing with butter – that looks like a kilo of heart attack right there for the asking. Dear God, what has our culinary world come to? The pastry chefs must be covering their eyes in shame as they make that monstrosity. Yes. 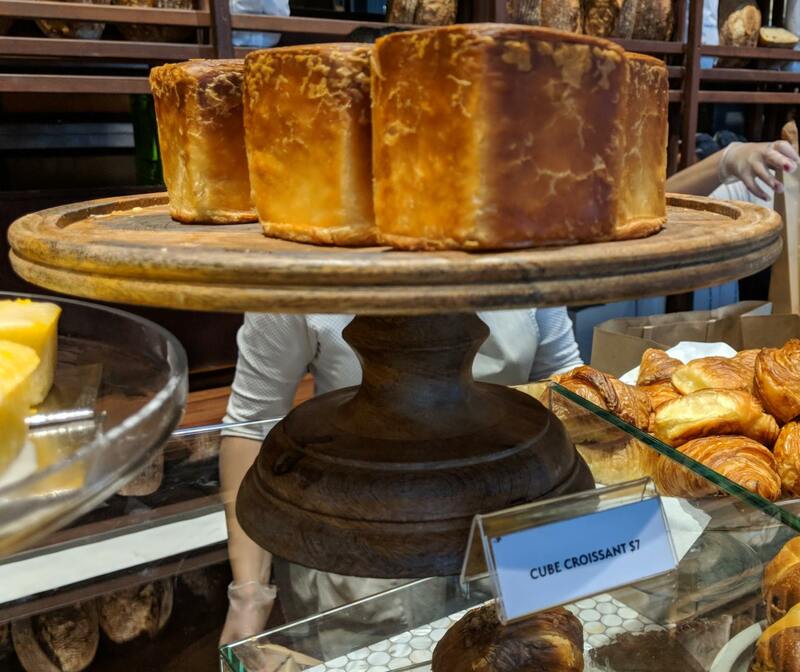 Just say NO to cube croissants. One assumes/hopes it is meant to be sliced like bread, not eaten whole with a cafe au lait! Got any suggestions? Preferably dog-friendly places, my lil girl is very well behaved. I’ve been well-fed at so many! However, if I advertise them as providing good food, a/ you might strike it unlucky, and b/ I don’t think the gardeners would be impressed. However, if you turn up at the Dignan St garden in Pt Chev, and tell them I sent you, I can cope with their response. I recommend you contact your closest one, contribute however you can, and then hop along to the next Gardens 4 Health meeting as a bona fide community gardener – they’re held at a different garden each time, and boy do they have some yummy food. Some serious work needed in terms of signage and advertising. For a start a very big sign at each bus stop with the main route number(s) (each with different colour) would make a huge improvement. Its often very difficult to determine which bus stop to use. And its free advertising so why not do it. I also think they should paint a continuous line in the bus route colour on the road. Again free advertising – driving in your car you can see that a bus goes the same way you do. Its basically one of the big advantages of trains – people inherently know where they go because they can see the tracks. At the very least paint the route numbers on the road at the bus stops. And then the transfers too. For example, last time I walked from Onehunga train station to the truly awful bus station I didn’t see a single sign. I would expect the route to be painted on the footpath or at the very least signposted. And the choice of roads is a bit weird. Buses should be on main roads, not running on residential streets. When they are hidden away only those living on those streets know they exist. This low hanging fruit needs to be picked ASAP. Jimbo, you’re right on the money there with that lack of visible and legible wayfinding. Putting up a few blade signs here and there pointing in the (very) general direction of train stations and bus stops/interchanges, just doesnt cut it. Its pure box-ticking and it sure dont get you from A to C via B. Although most of this could be considered marketing. Marketing isn’t just about newspaper adds. If AT want people to move from cars to PT (and that is a big if), then they need to market it. And the best marketing would be the things people can see from their cars – the road, bus stops, buses, signs, etc. Some of the best wayfinding I’ve encountered globally, is where its been purposedly designed to be a subtle marketing communications conduit for the transport service provider. In Japan for example, wayfinding starts 100 meters from a station / bus stop with a simple, easy-to-see sign 2-3 metres above ground with a mode icon, an arrow and a 100m marker on it. Its repeated at 50 metres and at 25 metres. The stations and bus stops themselves have a large mode icon on top of the building or on a pole beside it, that can be easily seen from a number of directions. Yellow tactile blocks on the footpaths, start 10 metres from a bus stop or station and lead you to the station entrance or to the middle of the bus stop shelter. Route maps and timetables are displayed in large format at bus stops and station entrances and are all illuminated at night. The JP transport operators’ service marketing teams design wayfinding to ensure customers can easily find stations and stops since there are retail offerings (small and large) at those locations that rely on foot traffic and such wayfinding effectively acquires and reacquires customers. I’ve noticed that there are still a large number of stops without proper updated maps and timetables, which is really slack on AT’s part. 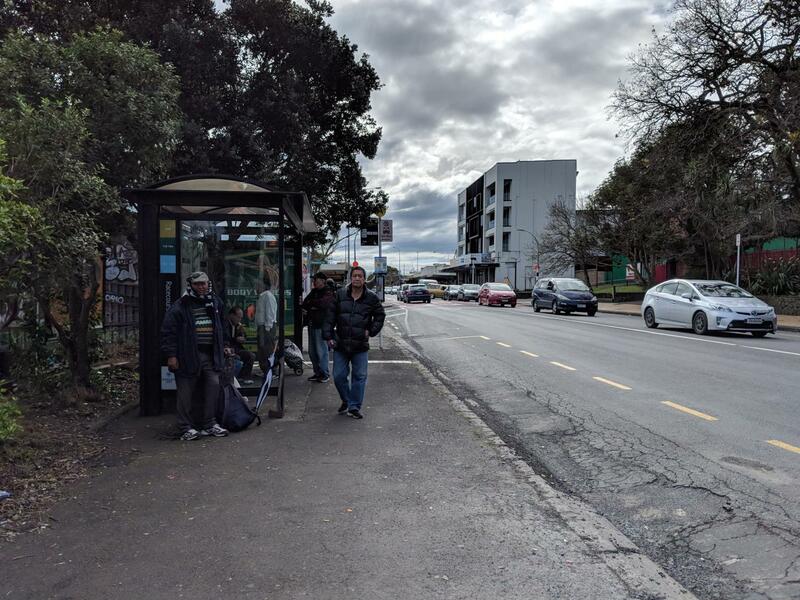 I’ve had several delays while potential passengers questioned drivers about which the correct stop was – this morning on Khyber Pass, where there was no information at all at one stop. Surely busy areas like this should have been absolutely prioritised for getting correct information available to passengers? 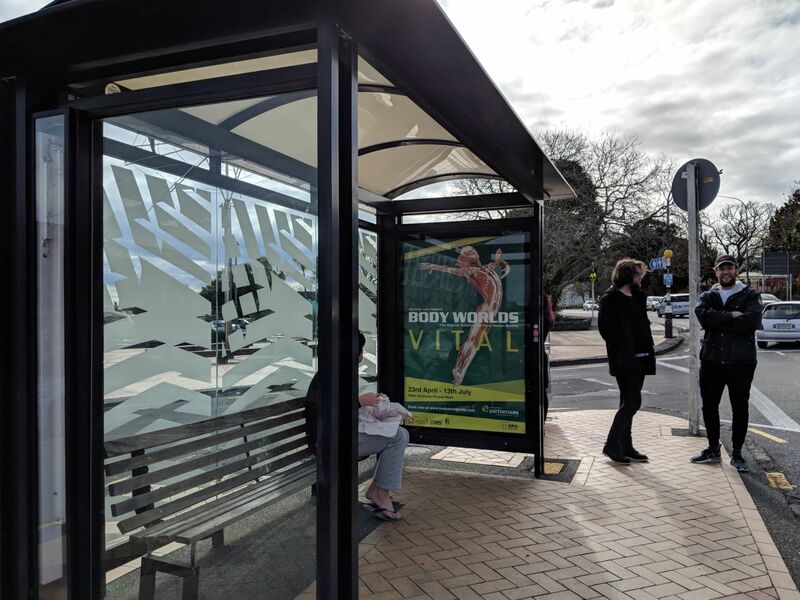 The large number of bus stops throughout South, West and now Central Auckland without decent, legible wayfinding at those stops, is astounding. Just a tiny hard-to-read timetable and an equally small hard-to-read route flag on the same pole, does nothing to make people aware of / provide access to the New Network. Where new shelter has been put in at those stops, there is a big floor to ceiling surface area on the wall next to the seat that can be easily used to display a large network map, a route map and more legible timetable information. Just putting on more buses with longer operating hours, does not a better service make. 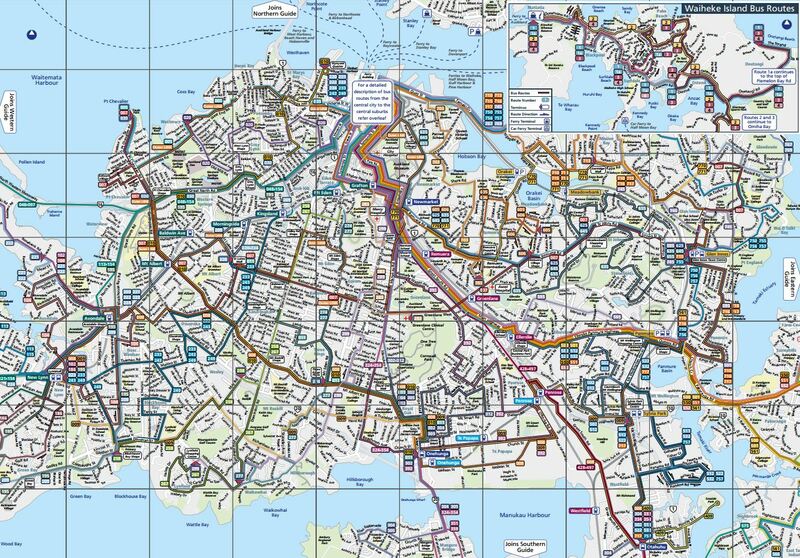 Without proper, legible service and route information at stops, the integrated AT bus, train and ferry network way-loses people, keeps the entire network hidden and keeps service patronage levels lower than they should be. So we keep hearing that AT is trying toshift to good customer service. Do you know why this straightforward requirement of a good network was missed, Rob? There is wayfinding design and implementation in AT but no proper wayfinding operational and asset maintenance team. There is also no focus at the design stage on signage legibility for any degree of visual impairment, only on how signage ‘looks’. That results in what we as service usres have been continually experiencing to date. Some of those stops remain like this forever. I remember letting AT know that the bus stop on K’rd Overbridge (citybound) still had old western routes around 6 months past launch date. 2 months later the signs still were not updated. I guess not a high priority. Haven’t read all the comments, may have been covered, but I wonder if the central area will get the nice colourful bus route number smallish signs attached to the top of any poles like seem to be done all out south and east, can even read as you drive along. Saw them again yesterday & noticed how good they were. Funnily enough I could use them to realise I was driving (heaven forbid!) on the right road in the right direction after getting lost going to Bucklands Beach, then Half Moon Bay. 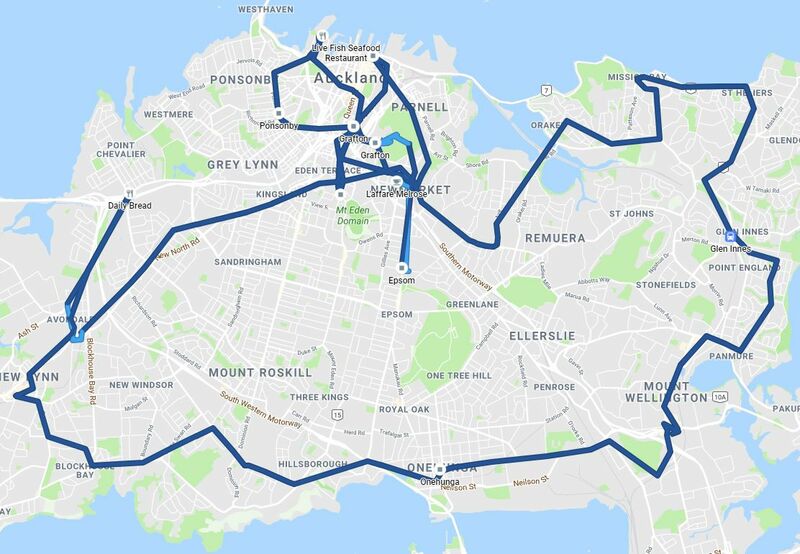 As an aside, the heavy rain & Sunday perhaps less necessary PT trips I didn’t notice not one solitary person was waiting for a bus at a stop, be it sheltered or non sheltered stops (basically going from Mt Wellington towards Eastern Beach with two kiddies, car 20mins..bus would be 1hr 2mins including ~15min walk in heavy rain at each end, two kids with bags). Big issue is the bus map does not show where the bus stop is located. It only shows start/finish stops. If I am a casual user I wouldn’t know. Also different bus along the route should all try to share the same bus stop. For example the inner link bus stop and 18 is different on k road and queen st. It makes things more complicated. There is no wayfinding ‘operations’ team in AT and that is the problem. The ‘inexplicable building with the Greek columns’ in Symonds Street was erected in 1933 as a Christian Science Temple. There used to be an adjacent, earlier, building with columns but, as with most heritage structures in Auckland, it was demolished, in the 1980s. That buses replace trains sign in GI has been there for a while. It would be more useful to have a sign showing that it’s a rail replacement bus stop than this one. Has one at Penrose too. He had 2 transfers there that said 30mins if had got the bus under that time it wouldn’t have cost any extra but 1second after the 30mins you get stung with the next fare stage . Yes, but oh it would have been good to have one go through, so that people from the West could use it too. Still, if I was still going regularly, I’d be transferring to this bus on rainy days. Auckland Transport for The new central network to be a much improved & successful public transport system from The old network you have to introduce immediately the public transport pathway of “wayfinding” as previously mentioned by Rob Mayo to ensure successfully communications for using your public transport services. 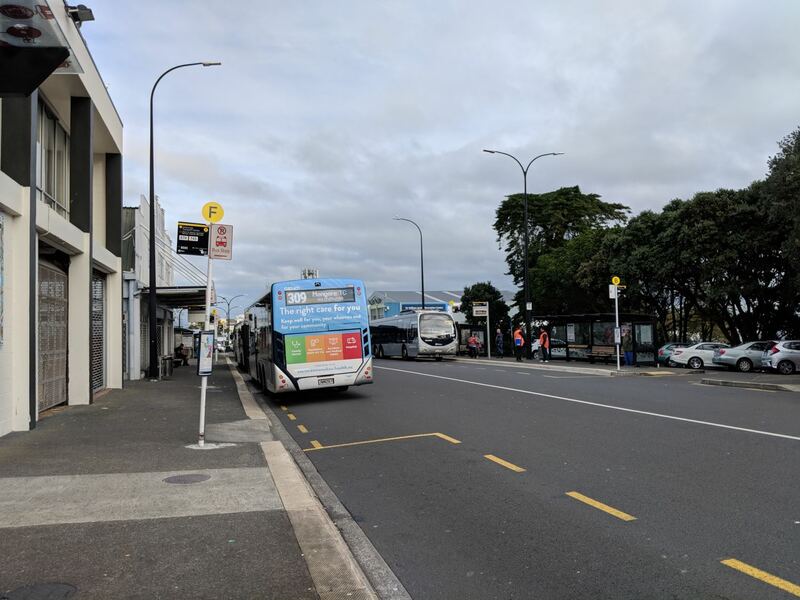 Recently when a Onehunga train service was cancelled, I didn’t know or see that there was a Bus Stop on Onehunga Mall to catch a bus to the CBD. This was opposite the Onehunga Train Station & had poor signage. Instead I walked 5 minutes to the Onehunga Bus Terminal to catch a bus to work instead. There are no effective/reliable options & solutions provided by Auckland Transport using their services as the transport provider. 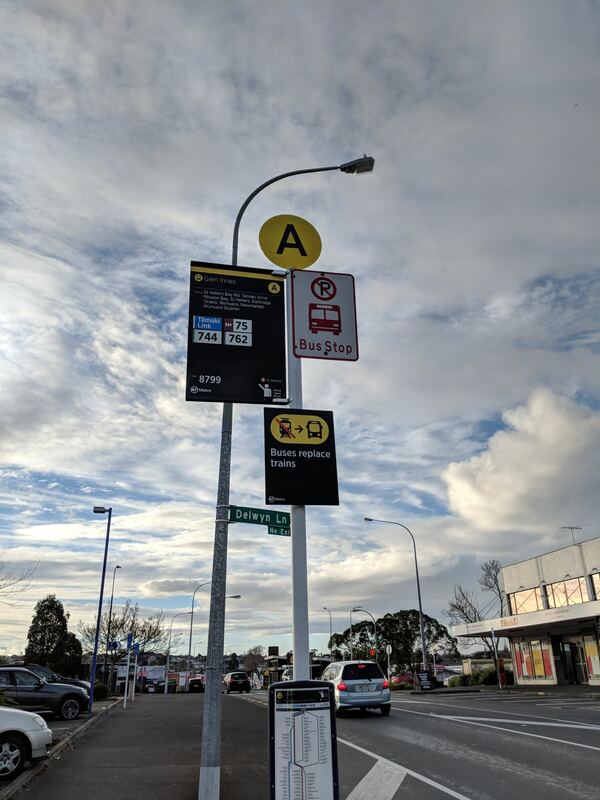 Patman, the very reliable 309 bus service (operated by GoBus) stops right outside Onehunga Train Station yet at that station stop for citybound 309 services, there is absolutely no wayfinding info for such a key connecting bus service. There is also no shelter at all. Its appalling quite frankly. Thats what gets me, so many key stops / busy stops have NO shelter. Yet random stops in the middle of nowhere that are rarely used have fancy shelters… its just nuts. Overheard some lady on the bus saying she “spoke to her mate at AT” and got a certain stop a shelter… this stop is also middle of nowhere/barely used. Is that seriously what it takes to get stuff done in AT? Be besties with the right person? Honestly even looking at some of their timetables and routes sometimes it feels like they are catering to someone in particular rather than making a logical decision. Timetables and routes-wise, I can assure you that there is no favouritism there at all. The AT Metro Network Development team have been and continue to be scrupulously impartial, balanced and measured in their way they have designed and rolled out the New Network. What about their response to the public reaction, Rob? Do they really attempt to look past the loudest, cutest, or most media-savvy objectors? Not really convinced of that Rob, I have seen way too many bizarre decisions with timetabling and routes that are do NOT seem to based on any evidence but more along the lines of whos mate lives where. Peter N, I am not experiencing any strange decisions based on what you describe. I remember sitting on the outer link, and being surprised that it all of a sudden started making a tiki tour through Herne Bay. This is so it can stop at 219 Jervois Rd. Which is weird, because that detour is much slower than walking from 219 Jervois Rd to West End Road. The outer link still does this in the new network. Presumably there are enough people living there who “know someone”. Heidi, when their view is blocked like that, a lot of them struggle to get past, yes. Its often up to us to clear the way forward. Hi there, it’s nice to read you travel experience. Is it possible to also publish your trip record from Google Maps Timeline, just to give an impression of the distance you traveled? Outer link will be reviewed next year. pshiem who knows what mouth outerlink and 650 will be review this year nows its 2019 why havent at website said what month they will review it yet? 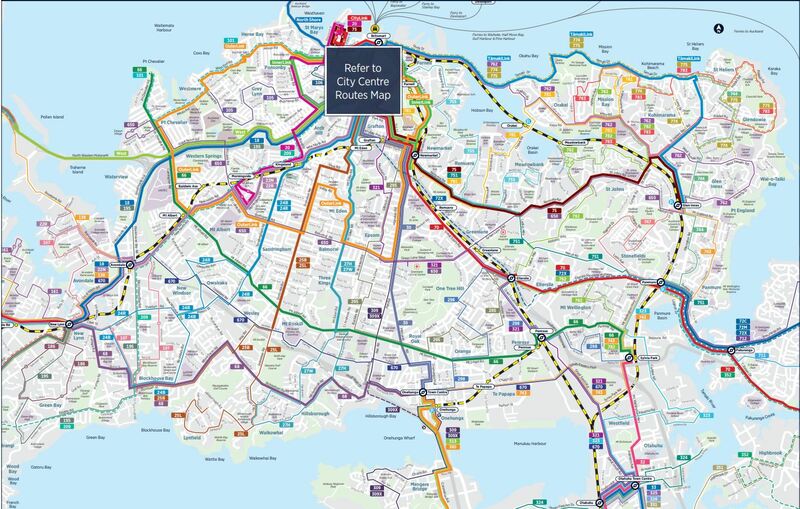 is the outerlink a crosstown service for the central auckland new bus network?